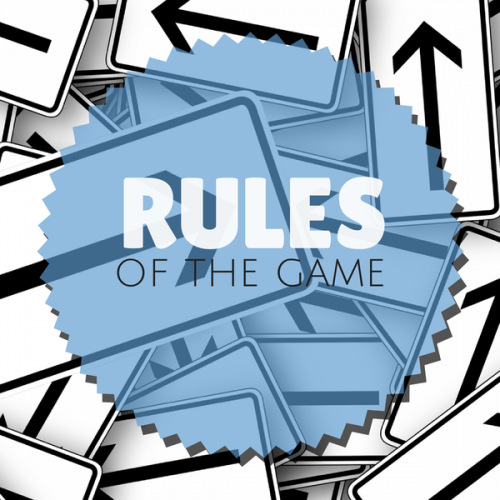 There are a lot of unwritten rules in this game we play and I want to flush them out. Whether you’re an experienced player or a newbie looking to join the perks of next-to-nothing travel, these rules are for you. Hit the break to shine a light on them. Don’t kill the deals. When you hear that, I’m sure “blogs” are the first thing that pop into your head. While that may be partially true, they’re not the sole offenders. Flyertalk is ranked 3,865 in the world (at the time of this writing), which means there are a lot more eyeballs on that site than there are on say The Points Guy (rank 10,292). So, regardless of where you post, just be conscientious of what you post and who you share information with. Don’t play the blame game. This rule and rule #1 go hand in hand. There is nothing more annoying than hearing people complaining over and over about a blogger(s) killing a deal. Okay we get it the deal is dead and one person or persons is responsible, but dwelling on it and taking shots at this person(s) accomplishes nothing. Don’t be that guy. You know who I’m talking about, the guy who yells at a cashier saying, “I’ve bought this with a credit card many times, so I know it’s allowed.” or, “Get your manager, because I need my miles!” Maybe they don’t say those exact phrases, but you get the point. Be courteous and move on. You don’t want to break rule #1, do you? Never call. This specifically applies to mistake fares, but I’m sure there are more examples in the MS world as well. If a deal is really good, “act first ask later”. Search, learn, digest, and repeat (before attempting). There’s a simple fix to every beginner mistake I read on the forums: “search, learn, digest, repeat.” Don’t get into the game without knowing what you’re doing. If you are new, here is a good place to start. Let’s not play the “who’s is bigger (better)” game. Everyone has their own preference when it comes to points vs cash, coach vs business, Discover vs Amex, Hilton vs Hyatt, ect. Who cares what yours is or who’s is better as long as you enjoy the game and the travel. Get to know the cashiers. It will likely make your transactions quicker and easier. Oh and courtesy goes a long way. Don’t be weird. If you act like you are doing something illegal, people will think you are doing something illegal. You’re not the only one who plays this game. I’m looking at you person who used to hide the vanillas at CVS! We’re tired of circles and arrows. It’s so 2013. Never pay interest on a credit card. Interest is the enemy. If you pay it, you’re negating the points and miles earned from your credit card. In fact, you shouldn’t be playing this game if you pay interest on your card. Check again. If it doesn’t work the first time, try again (unless the register is hard coded). Do you know of any rules I missed? If so, leave them in the comments and I’ll add them to the list.